all sizes from children to professional practice tutus in black or white. We have these in stock. 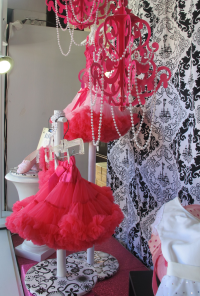 Dance Togs strives to enhance the joy of studying dance with personalized fittings and requirements for local studios. Our goal is to serve the beginner through advanced dancers with the highest customer service, expertise and professionalism.